….then we want to hear from you! 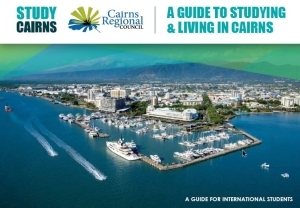 Enthusiastically shares information about the benefits and advantages of studying & living in Cairns. Posts regular updates on Study Cairns and Student Hub social media about life in Cairns. What are the rewards for being a Student Ambassador? Introductions to the Mayor of Cairns, visiting politicians and delegations. (NB – This is an honorary volunteer role and is not a position that can be used as a platform to advocate for student causes).